In the case of Shaw v. USAA Cas. Ins. Co., No. 3:17-947 (M.D. Pa. May 11, 2018 Mannion, J. ), the court granted the carrier’s Motion for Partial Summary Judgment with respect to the Plaintiff’s bad faith count in a UIM case. Overall, the court ruled that a reasonable jury could not conclude that the Defendant carrier acted in bad faith under the case presented. By way of background, the Plaintiff was injured as a pedestrian in a motor vehicle accident. The Plaintiff settled her bodily injury claim against the third party tortfeasor for $50,000.00 out of the available $100,000.00 liability limits. Thereafter, she submitted a claim for UIM benefits with her own carrier. During its investigation, the Defendant carrier determined that the overall value of the Plaintiff’s liability claim against the tortfeasor did not exceed the $100,000.00 liability limits available to the tortfeasor. In the bad faith claim, the Plaintiff asserted that the Defendant did not fully investigate or revise its initial assessment despite the Plaintiff submitting additional medical records and expert reports. After a review of the record before it, Judge Mannion found that the Plaintiff had not produced sufficient evidence to support the claims that the Defendant carrier had acted outrageously and in bad faith in its handling, investigation, and adjustment of the Plaintiff’s UIM claim. In his decision, Judge Mannion provides a thorough recitation of the post-Rancosky bad faith law in support of his decision. I send thanks to Attorney Brigid Q. Alford of the Camp Hill, Pennsylvania office of Marshall Dennehey Warner Coleman & Goggin for bringing this case to my attention. In the Lawrence County case of Mason v. Petrone, No. 11084-CV-2016 (C.P. Lawrence Co. May 17, 2018 Motto, P.J. ), President Judge Dominick Motto of the Lawrence County Court of Common Pleas denied a limited tort Motion for Summary Judgment. In this regard, the court ruled that there were issues of fact that were best left for a jury to determine. The court additionally ruled that the Plaintiff was not barred from seeking damages for pain and suffering under the Tort Claims Act on the basis that she allegedly did not have evidence of a permanent injury. In this regard, the court again noted that issues of fact remain and also emphasized that the expert reports were not yet due in the case. This matter arose out of a motor vehicle accident during which the Plaintiff struck by an operator who was responding to an emergency at the time of the accident. Among other injuries, the Plaintiff suffered a fractured ankle and bruising along the right side of her back. The Plaintiff primarily treated with an orthopedic surgeon and underwent physical therapy. After reviewing the settled law pertaining to the need of a Plaintiff to prove a permanent injury in a case against a government agency, as well as the current status of limited tort law in Pennsylvania, the court denied the Defendant’s Motion for Summary Judgment in these respects. I send thanks to Attorney Garth Gartin, Esquire of the Pittsburgh office of Simon and Simon, P.C. for bringing this case to my attention. In the case of Dickson v. Frein, No. 16-CV-4887 (C.P. Lacka. Co. June 1, 2018 Nealon, J. ), Judge Terrence R. Nealon of the Lackawanna County Court of Common Pleas addressed issues of parental liability for their son’s act in gunning down members of the Pennsylvania State Police (PSP) during a tragic shooting that occurred in Pike County, Pennsylvania on September 12, 2014. In this matter, there are three (3) civil actions arising out of an incident which resulted in the death of a PSP Corporal and serious physical injuries and emotional harm to two other members of the PSP. The adult shooter’s parents, who are named Defendants in these cases, filed Preliminary Objections in the nature of demurrers seeking to dismiss the negligence claims against them on the grounds that they did not know any recognized duty to the shooting victims to the actions of their adult son. The shooter’s father also filed a demurrer to one Plaintiff’s claim that the father was vicarious liable for the tortious conduct of his son. Applying the demurrer standard, the court denied the Defendants’ Preliminary Objections in this regard. Judge Nealon noted that, in cases involving firearms that are owned or controlled by parents and located on their property, Pennsylvania law recognizes a parental duty to exercise reasonable care in controlling or restricting access to those fire arms by a minor child, or even an adult child who suffers from mental illness or a cognitive disability, such that the child’s use of a firearm may create an unreasonable risk of harm to others. Judge Nealon also noted that, even in the absence of a special relationship between the parents and the shooter, the parents have a duty to refrain from committing an affirmative act that is likely to affect the conduct of the shooter in such a manner as to pose an unreasonable risk of harm to others. In this matter, the Complaints filed contained allegations that the parents knew that the shooter suffered from mental illness, cognitive disabilities, delusions, and an inability to distinguish fantasy from reality since the time that the shooter was a child. The Plaintiffs also alleged that, rather than seek warranty mental health treatment for their son, the parents fostered the child’s fantasies by allegedly financing their adult son’s military simulation hobby, providing him with fire arms training, and furnishing him with a text on sniper techniques. The Complaints also contained allegations that the parents otherwise psychologically manipulated their son’s vulnerable mental health state and compromised his cognitive condition in other ways, including positions on ending the misuse of power by police, which allegedly caused the adult son to allegedly develop a strong antipathy towards the police. The Plaintiffs’ Complaints also alleged that the parents knew that the adult son had been threatening to kill others who had wronged him or others. Overall, the Plaintiffs alleged in their Complaints that, despite their knowledge of their son’s wayward thoughts, the parents failed to contact police or any mental health professionals regarding their son’s intentions and actions and, to the contrary, granted him unfettered access to the firearms that the parents owned or controlled at their residence, including the weapons their son used during his attack on the Pennsylvania State Police. Given that the Defendant’s parents had not established that it was free and clear from doubt that they owed no duty of care under Pennsylvania law to the Plaintiffs, the court denied the Preliminary Objections filed by the parent Defendants. Judge Nealon did otherwise dismiss the separate vicarious liability claim against the father for the criminal conduct of his son as insufficient as a matter of law due to the absence of the requisite agency relationship between the father and the shooter. Summary Judgment was granted by the trial court in a fatal slip and fall case under the caption of Wasnetsky v. Quinn's Market, No. 14-CV-4437 (C.P. Lacka. Co. June 15, 2018 Nealon, J.). According to the Opinion, the Plaintiff allegedly slipped and fell as result of stepping on a liquid on the floor in the market. The Plaintiff's decedent struck his head on the linoleum floor and allegedly tragically died from his head injuries. In his Opinion, Judge Terrence R. Nealon thoroughly reviewed the current status of premises liability law in Pennsylvania and reaffirmed that the law requires a plaintiff to show that a he or she was caused to fall by a dangerous condition on the premises that the landowner knew or should have known about and failed to remedy. The court additionally reviewed the law of those cases where summary judgment was granted where a Plaintiff could not point to the cause of his or her fall. The court more specifically pointed out that the only witness to the accident was another customer in the store who confirmed that she witnessed the Plaintiff's decedent fall and that there was no liquid on the floor where the Plaintiff fell as alleged in the Plaintiff's Complaint. This witness also confirmed that the Plaintiff was wearing loafer-like shoes with a smooth bottom that looked like a "slippery type of shoe." The record also revealed that the store manager who reported to the scene while the Plaintiff's decedent was still on the floor also noted that there was no liquid on the floor in that area. A produce manager also reported to the scene and likewise confirmed that there was no liquid on the floor in the area of the Plaintiff's decedent's fall. The court also noted that liability expert testimony offered by the Plaintiff from two expert was not sufficiently based in fact in terms of how the accident occurred. As such, the court found that this expert testimony was incompetent to defeat the summary judgment motion. Based upon the record before the court in this matter, the court held that, even when the case was viewed in a light most favorable to the Plaintiff as required by the summary judgment standard of review, there was no admissible evidence presented of any liquid, substance, or any other dangerous condition on the floor that ostensibly caused the Plaintiff to fall. The court additionally noted that the Plaintiff also failed to offer evidence to show actual or constructive notice on the part of the Defendants of any allegedly dangerous condition on the premises. Based on these failures by the Plaintiffs to sustain their burden of proof, summary judgment was granted by the court. UPDATE: Judge Nealon's decision was affirmed on appeal in a Non-precedential decision issued by the Pennsylvania Superior Court on April 8, 2019. Click HERE to view that Superior Court Non-Precedential Opinion. In the case of Newsuan v. Republic Services, No. 00528 (C.P. Phila. Co. April 11, 2018 Rau, J. ), the court granted a Plaintiff’s Motion to Compel the defense to produce certain information about potential witnesses who worked at a facility at the time of the Plaintiff’s accident. According to the Opinion, the Plaintiff filed the motion because of the alleged conduct of the defense lawyers in purportedly refusing to provide contact information for the potential fact witnesses in order that the defense lawyers could allegedly contact the witnesses first and interview them, and offer to represent them for free. The trial court found that such alleged conduct compromised the fairness in the litigation process by obstructing the Plaintiff’s access to evidence. As such, the Plaintiff’s Motion to Compel was granted. In her Opinion, Judge Rau noted that, because the Defendants’ lawyers admitted in court that the interviews with the witnesses were conducted prior to the Defendants’ lawyer offering to represent these witnesses, the court found that the interviews did not constitute attorney-client privilege communications. The court also noted that the Pennsylvania Rules of Professional Conduct require that the defense lawyers advised the witnesses of the potential conflict of interest in representing both the witnesses and the company being sued, nor did the lawyers obtain the informed consent from the fact witnesses in order to waive any potential conflicts. In her Order, the judge required that the defense provide the Plaintiff with the information regarding the current and former employees of the witnesses along with the notes of the interviews and all written communications. The court additionally ruled that the Defendants’ lawyers were disqualified from representing the former and current employee fact witnesses at a deposition or trial unless the attorneys secure a written waiver from the witnesses explaining the conflict of interest. The Defendants’ lawyers were also ordered to inform Plaintiff’s counsel as to which witnesses have or have not signed the written waivers of conflicts of interest. The defense lawyers were additionally ordered not to contact any witnesses that they had not succeeded in interviewing to date. I send thanks to Attorney William P. Corcoran, Esquire of the legal division of Septa for bringing this case to my attention. 2. Whether the defense should be estopped from relying upon the attorney work-product doctrine because it pursued disclosure of the identical materials from the claimant’s attorney. Pennsylvania Superior Court ultimately ruled that, when an investigator is hired expressly by the attorney of the Defendant, then the investigator’s notes of witness interviews are not privileged or protected from discovery even though the investigator was acting at the express direction of the attorney. In its decision, the court noted that Pa.R.C.P. 4003.3 sets different restrictions in terms of production of material prepared by a party’s attorney as compared to material prepared by a party’s representative. The court noted that there is a higher bar of protection in relation to the discovery of the work product of an attorney. In contrast, as to materials produced by any other representative of a party, Rule 4003.3 only prohibits the disclosure of the representative’s mental impressions, conclusions, or opinions respecting the value or merit of a claim or defense or respecting strategy or tactics. Here, the court found that the work product doctrine under Pennsylvania Rules of Civil Procedure 4003.3 could not be used to preclude the disclosure of notes and summaries written by an investigator as opposed to by the party’s attorney. The court rejected the notion that the notes and memoranda completed by a private investigator acting at the expressed direction of counsel, are protected by the attorney work product doctrine to the same extent as if the documents were drafted by counsel. The court stated that to accept such an argument would be an impermissible expansion of the language of Pa.R.C.P. 4003.3. I send thanks to Attorney Kenneth T. Newman of the Pittsburgh law firm of Thomas, Thomas & Hafer for bringing this case to my attention. Oftentimes, attorneys may dive into a deposition without securing basic background information to start a depositions. There have even been depositions completed where an attorney has not even asked the deponent to state their name. A good way to being a deposition, even before you introduce yourself or lay out the ground rules for the deposition, is to start by asking the person's name, address, and basic background information so that you have this information on the first page of the deposition transcript for your easy reference. Good morning, can you please start by stating your full name and address? How old are you as you sit here today? It is my understanding that you were ____ years old back when this accident occurred? Once you have the above basic information, you can then review with the witness the basic ground rules of a deposition to help the proceeding flow smoothly from that point on. In a decision in the case of Hysick v. Razor United States, No. 1:2015-CV-00745 (M.D. Pa. Jan. 9, 2018 Jones, J. ), the court granted in part and denied in part a summary judgment motion in a product’s liability case. The court reaffirmed the rule of law that strict liability is imposed only where the product is used by an intended user. Here, where the Defendant manufacturer’s owner’s manual and warning stated that the product was not for use by children under 12, a 6 year old injured party was deemed not to be an intended user of the product as a matter of law. The court otherwise held that a manufacturer cannot be held liable for failing to design a product that was safe for use by any reasonably foreseeable user. Rather, only intended users are relevant to the strict liability analysis. The court additionally noted that no reasonable consumer would believe that a 6 year old was an intended user of a product that was fully equipped with explicit age recommendations for use of the product by much older children. The court otherwise did note that a claim for breach of warranty extend beyond the intended users of a product. The court also noted that foreseeable unintended users might have negligence claims to present as well. I do not have a copy of this case to provide. As we are in the middle of the year, thought it would be a good time to re-run my article "A Mid-Year Tuneup: Ten Tips to Improve Your Practice and Reduce Your Stress." This article first appeared in the Pennsylvania Law Weekly about 10 years ago on June 30, 2008 and is republished here with permission. The tips appear to be standing the test of time. Here is a LINK to the article for your reading enjoyment. In the case of Parisi v. State Farm Mut. Auto. Ins. Co., No. 16-179 (W.D. Pa. May 7, 2018 Gibson, J. ), the court denied cross-motions for summary judgment in a UIM bad faith case given the court’s finding of genuine issues of material fact with respect to the claims handling and settlement negotiations in the case. According to the Opinion, this UIM action was commenced after the insured allegedly suffered a serious head injury in a motor vehicle accident. The UIM claims-handling process covered a time period of approximately 2 ½ years. According to the Opinion, the insured demanding the payment of the $100,000.00 policy limits and the carrier’s initial settlement offer was $17,000.00. The carrier later ended up paying the policy limits on the claim. The insured filed a bad faith suit in which it was alleged that there was a bad faith delay in the payment of the UIM benefits. After both parties moved for summary judgment on the bad faith issues, the court denied both motions after finding genuine issues of material fact. The court in Parisi found that the insured’s attorney did not demand settlement of the claim for nearly two (2) years after the filing and, once he did, the evidence revealed that the carrier acted promptly in response. The court additionally noted that a jury could conclude that the initial offer by the carrier was reasonable given the evidence presented at that stage of the proceedings. The court also pointed to testimony in the record indicating that head injuries are particularly difficult to evaluate. Based on at least these reasons, the court denied the Plaintiff’s Motion for Summary Judgment on the bad faith issues. As noted, the court additionally denied the carrier’s Motion for Summary Judgment on the bad faith claims. In this regard, the court found that a jury could find that there was an unreasonable delay in the payment of the benefits and that the initial offer by the carrier was an unreasonable low ball offer. The court also noted that the record revealed that a jury could find that the carrier failed to conduct a meaningful investigation or attempt settlement between the time of the filing and the time when the insured’s attorney demanded settlement almost two (2) years later. I send thanks to Attorney Lee Applebaum of the Philadelphia law firm of Fineman, Krekstein & Harris, and the writer of the Pennsylvania and New Jersey Insurance Bad Faith Case Law blog for bringing this case to my attention. In the case of Kibler v. Blue Knob Recreation, Inc., No. 903 WDA 2017 (Pa. Super. April 19, 2018 Ford Elliot, P.J.E., Bowes, J.; Stabile, J., concurring) (Op. by Ford Elliot, P.J.E. 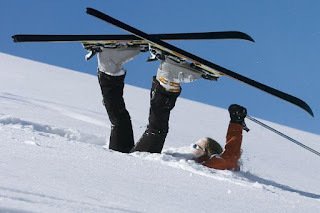 ), the court affirmed the trial court’s entry of summary judgment after finding that the Defendant’s release or waiver form was valid and enforceable in a downhill skiing accident case. The Plaintiff attempted to get around the waiver form he signed by asserting that his accident was caused when the Plaintiff attempted to ski over an area where there were wheel ruts left in the snow by an ATV used by a resort employee. The Superior Court affirmed the trial court’s finding that wheel ruts left by a vehicle operated by the Defendant’s employees are an inherent risk of downhill skiing for which the Defendant ski resort had no duty to protect skiers. The court additionally noted that tire tracks in snow do not amount to evidence of reckless conduct on the part of the ski resort so as to get around the terms of the release signed by the Plaintiff. Relative to the waiver signed by the Plaintiff, the court found that the release terms did not contravene law or public policy. The court additionally reaffirmed the well-settled principle of law that the alleged failure to read a release is not a defense. 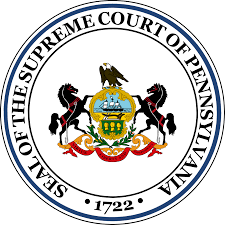 In an Opinion handed down yesterday (June 5, 2018), the Pennsylvania Superior Court issued its reconsidered Opinion in the case of Berg v. Nationwide. 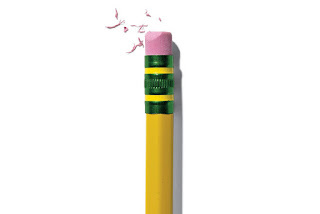 The latest Opinion by the Superior Court remained consistent on all substantive fronts when compared to its previous April 9, 2018 decision in which the court erased a $21 million dollar bad faith award in favor of the Plaintiff. It appears that the only change noted in the new decision was a removal by the court of a reference made in the April 9th Opinion to a the burden of proof that had been used when the Plaintiff's Unfair Trade Practices and Consumer Protection Law claims were tried before a jury in 2004. This change from the previous Opinion is of no import in the end. To review this June 5 2018 Opinion by the Superior Court in Berg click HERE. 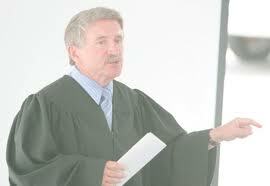 President Judge Emeritus Stevens' Dissenting Opinion can be viewed HERE. To review the Tort Talk entry on the April 9, 2018 decision that was vacated and which now has essentially been reinstated, click HERE. Continuing updates will be provided on this case. Commentators expect that there will be an request for re-argument en banc. SIGNED UP FOR NEXT MONDAY'S LACKAWANNA PRO BONO GOLF TOURNAMENT? Just a quick and friendly reminder to watch your emails for the notification that your PA license registration is due. You will not receive a notice by mail, only email. Note that substantial late fees will be incurred if the Registration is not completed by July 1st. (2) Is the “unlisted resident driver exclusion” inherently in conflict with public policy in Pennsylvania as embodied in Section 1786 of the MVFRL, which implicitly allows for permissive users of an insured vehicle to also be considered insureds under the owner’s policy? Click HERE to view the Supreme Court's Order. In the products liability case of Kershner v. Komatsu Ltd., No. 17-CV-4787 (E.D. Pa. April 10, 2018 Rufe, J. ), the Eastern District Federal Court of Pennsylvania granted a Defendant’s Motion to Transfer Venue to the Western District Court of Pennsylvania where the court found that the Eastern District lacked personal jurisdiction over the Defendants and where more convenient access to the evidence and witnesses weighed in favor of the transfer. According to the Opinion, the Plaintiff was working as a bulldozer operator on a pipeline project in Ohio. The Plaintiff was injured when he attempted to exit his bulldozer. The bulldozer was manufactured by the Defendant. The Plaintiff was initially transported to a hospital for treatment in Wheeling, West Virginia. He was then later transferred to the University of Pittsburgh Medical Center where he spent two (2) weeks in recovery. The Plaintiff was then transferred to a healthcare facility in Williamsport, Pennsylvania, near his home to further recuperate. The Plaintiff initially filed this action in state court in Philadelphia County. The Defendants removed the case to Eastern District Federal Court on the basis of diversity jurisdiction and then filed the Motion to Transfer Venue to the Western District Federal Court. The court in the Eastern District first ruled that the Eastern District of Pennsylvania was not a proper venue given that the Defendant and its affiliates did not “reside” in the district. The Defendants also did not have sufficient minimum contacts to warrant the exercise of long-arm jurisdiction as none of the events given rise to the causation of action occurred in the Eastern District, nor were any witnesses or evidence located in the Eastern District. Given that the Plaintiff spent a significant amount of time receiving treatment for his injuries in the Western District of Pennsylvania, and given that many of his medical records would be located in that district, was found to weigh in favor of the transfer of the matter. The court noted that other practical considerations such as the location of witnesses and evidence in or near the Western District supported a finding that more convenience to the parties would result by a transfer to the Western District Court. As such, the Motion to Transfer was granted. The Court's Opinion can be viewed at this LINK. The companion Order in this case can be viewed HERE. Source: "Digest of Recent Cases." Pennsylvania Law Weekly (April 24, 2018). In the case of Smith v. Pancholy, 16 - CV - 1789 (C.P. Lacka. Co. March 22, 2018 Nealon, J. ), the court granted in part and denied in part Motions to Quash Subpoenas filed by medical malpractice Defendants. According to the Opinion, the Plaintiff initiated this wrongful death action following the death of the Plaintiff’s husband after a cardiac procedure. During the course of discovery, the Plaintiff served subpoenas on non-parties, which included the hospitals at which the decedent was treated. The subpoenas requested the production of any and all information regarding screens, data, visuals, monitors, televisions, and computers that were available for use in a specified lab for doctors to review, observe, or use to assist during any cardiology procedure. The subpoenas requested such information over a four (4) year period. The hospitals argued that the requests were overly broad and vague and that the requests caused an unreasonable annoyance and embarrassment by potentially disclosing confidential information about other patients. The hospitals also asserted that the subpoena created an unreasonable burden and expense to locate, gather and produce all such documents and items. The court found that the requests spanning the four (4) year period was indeed overly broad. The subpoenas were also found to lack reasonable particularity. The court additionally noted that, even if private medical information was redacted, the Plaintiff’s requests would result in an unreasonable burden and expense to the hospital. Given that the only potentially relevant information in the specified lab were the screens, visuals, monitors and computers that were available for a physician to utilize during the month of the Plaintiff’s husband’s surgery, the court allowed discovery with respect to that month only and otherwise quashed the subpoenas in all other respects. In his decision, Judge Mannion provides a thorough recitation of the post-Rancoski bad faith law in support of his decision. In the case of Hill v. LA Fitness, No. 2017 - CV - 2092 (E.D. Pa. April 10, 2018 Joyner, J. ), the court granted summary judgment for the Defendant on the Plaintiff’s personal injury claim where the Plaintiff knowingly and voluntarily agreed to a valid and enforceable exculpatory waiver or release of liability. According to the Opinion, the Plaintiff was allegedly injured when he tripped and fell over a yoga mat mistakenly left on the floor on the basketball court at an LA Fitness facility. The defense filed a summary judgment asserting that the Plaintiff’s action was barred by the exculpatory waiver in the Plaintiff’s membership agreement. In opposition to the motion, the Plaintiff did not challenge the validity or enforceability of the agreement but instead argued that there was a genuine issue of material fact as to whether he signed the agreement. The court noted that, although the Plaintiff testified at his deposition that his then girlfriend signed his name to the first page of the agreement, the Plaintiff otherwise admitted that he did read the agreement and initialed the remaining pages of the same. The court found this to be evidence that the Plaintiff understood that he was entering the membership agreement, including the exculpatory waiver. Because the Plaintiff was found to have entered a valid enforceable exculpatory waiver, the court ruled that the Plaintiff’s negligence claims were barred by that waiver and, therefore, granted the Defendant’s Motion for Summary Judgment. The Court's Opinion can be viewed at this LINK. Here is the LINK to the companion Order. In the case of Vinson v. Fitness & Sports Clubs, LLC, No. 2018 Pa. Super. 113 (Pa. Super. 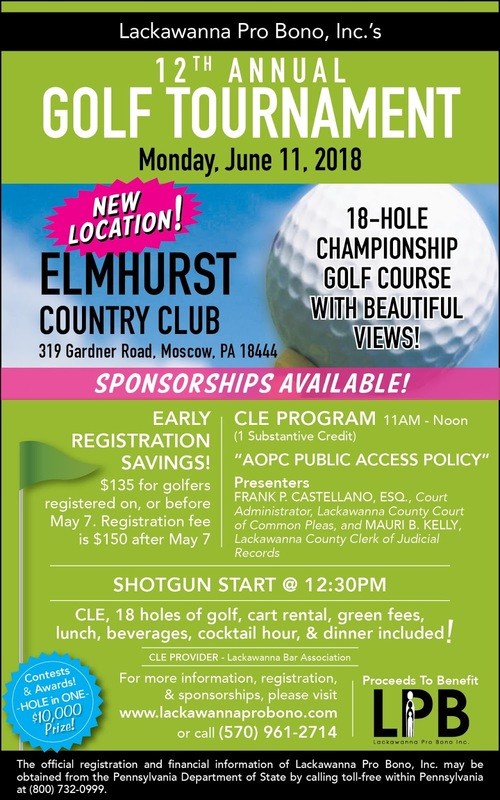 May 4, 2018 McLaughlin, Bowes, Musmanno, J.J.) (Op. by McLaughlin, J. ), the court affirmed a trial court’s entry of summary judgment based upon a Plaintiff’s execution of a recreational release. This case involved a plaintiff who was allegedly injured when she slipped and fell due to a wet floor mat. 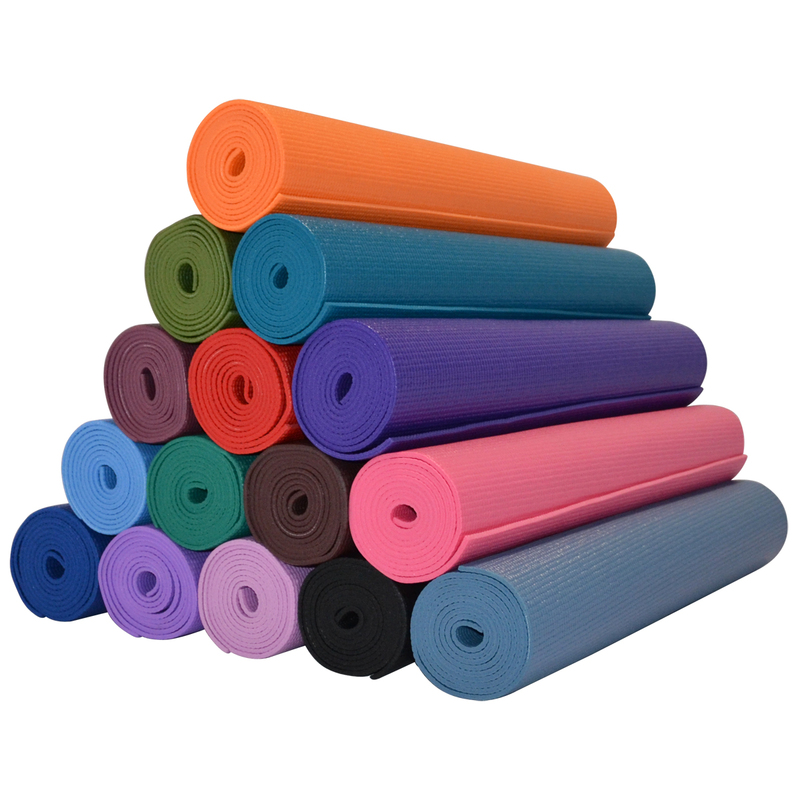 The court ruled that recreational releases, such as those required by gyms are valid and are enforceable. The court additionally noted that an alleged failure to read the release is not a valid defense. The court also noted that voluntary athletic or recreational activities are not matters of public or state interests. The Vinson court upheld the exculpatory clause contained in gym's membership agreement under which the member agreed to release the gym for any liability for any injuries sustained in the gym. I send thanks to Attorney James M. Beck of the Philadelphia office of the Reid Smith law firm for bringing this case to my attention. The Dauphin County Court of Common Pleas recently addressed a discovery issue in the context of a lawsuits filed for the payment of three (3) separate chiropractors’ unpaid bills following peer reviews. During the course of these actions, Plaintiff’s counsel served written discovery on the PIP medical benefits carrier requesting the production of the peer review section of its Medical Management Automobile Policy and Procedure Manual. The carrier refused to do so unless the Plaintiff signed a Confidentiality Agreement, which the Plaintiff refused. The carrier then filed for protective orders in the cases presented. Judge Andrew Dowling of Dauphin County Court of Common Pleas held a hearing and eventually issued order ruling that the pages of the manual at issue did not constitute any trade secrets. The court also indicated that the carrier failed to offer any evidence as to what harm the carrier would suffer if the five (5) pages at issue were released to the public and/or to the carrier’s competitors. As such, the court ordered that the documents be produced and further ordered that the Plaintiff’s counsel was not required to execute a Confidentiality Agreement. Anyone wishing to review a copy of these Orders issued in the cases with the Plaintiff’s names of Aukerman, Turnpaugh, and Pennese, may contact me at dancummins@comcast.net. I send thanks to Attorney Robert Claraval of Claraval & Claraval Law Offices in Harrisburg, PA for bringing these decisions to my attention.